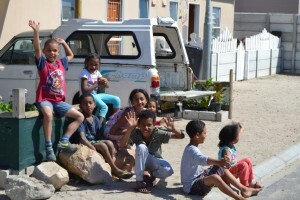 Our partnership with the people of Pelican Park continues to grow. Habitat, the community leadership, and the Dream Factory Foundation, hosted a hope-inspired day with families from the community on 28 November. 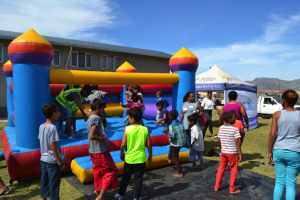 The 28th of November was a truly special day in Pelican Park where over 400 local residents came together and enjoyed a Community Talent Day. Called “A Message of Hope,” the event sought to unify the neighbours from different backgrounds and to celebrate their hope-filled future. Habitat’s partnership with the Pelican Park community serves to, not only capacitate the people with skills and knowledge workshops, but also to empower the leadership to create a thriving and unified community. 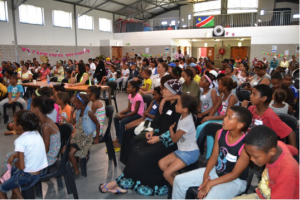 The Pelican Park Owners Association (PPOA) and Habitat for Humanity South Africa worked together to organize this special day within the community. The PPOA’s goals were to commemorate the diversity and opportunity of Pelican Park, as well as to create an inclusive event for people to get to know their neighbours. The day was action-packed for the children who played on a jumping castle, had their faces painted and enjoyed pony rides and field games. 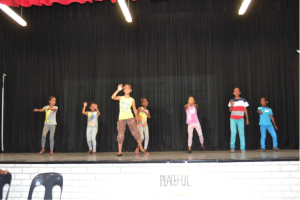 The adults and children sang and danced along with the multi-talented local dancers, singers and speakers during the Talent Show portion. The show was co-hosted with the Dream Factory Foundation, an organisation empowering the youth to dream and plan for their future. Many of the performances were inspired by the “Message of Hope” theme, including rapper Abdul Bedford. He sang, “I always had hope” that he would one day live in a safe, decent home with his family and how that dream was realized with their move to Pelican Park. His lyrics urged the audience to appreciate their community and take pride in being homeowners. There were also several inspiration speakers, including Gail Johnstone of the PPOA, who celebrated her one year-anniversary of living in Pelican Park on the day. Uncle Trevor also spoke, explaining how the Talent Show served as a reminder to the youth “to come together, to laugh together” and to recognize that “they have talent” which they could use to become great leaders within their community. Volunteers from Symantec offered wonderful support and helped the day run smoothly. The volunteers helped judge the talent show, prepare lunches, and oversaw and played on the jumping castle with the children from the community. 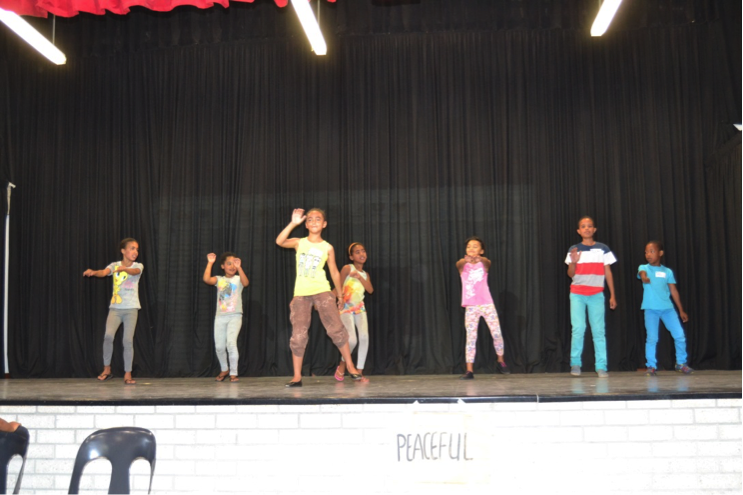 It was a joyful day that forged new connections between volunteers, partner organisations and community members. It also strengthened the community itself, as people were inspired to engage with their neighbours and become active participants in the development of their community. A safe, decent place to live is more than four walls. It’s being a part of a community where residents remain homeowners for many years to come, where friends become family and where everyone is accounted and cared for. The PPOA is committed to building relationships and hope within their community, and this community day is the first step in the process. Check out our social media pages and upcoming newsletters to keep up to date on further events and stories from the Pelican Park homeowners!